In some cases you might need to import data in ReplaceMagic. Good example is list of previously scanned documents. You do scanning of your documents and later you decide to split fixing of broken links to multiple computers (check our license packs HERE) to accelerate processing. 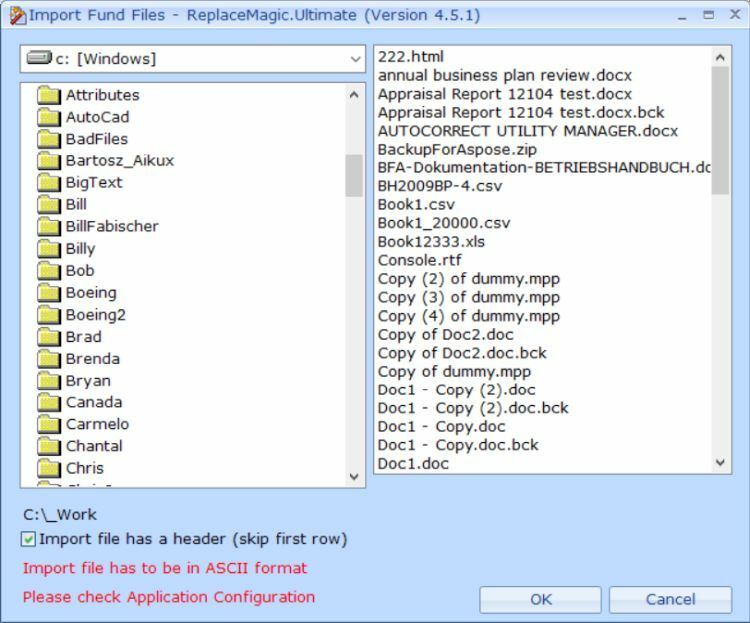 If you manually split previously created list of scanned documents to multiple lists you can import each of them back in ReplaceMagic.